The beloved application Ubuntu Tweak, designed to make configuring Ubuntu easier for everyone, will be receiving come UI love. 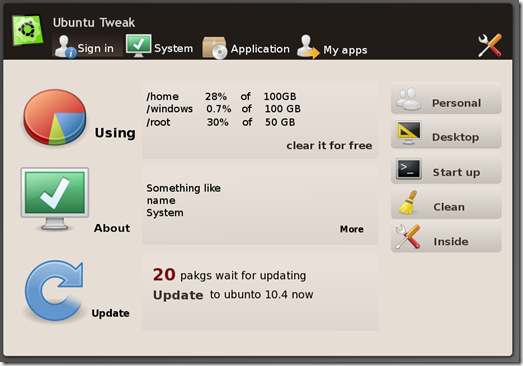 The designer of UTCOM has done a mockup of Ubuntu Tweak 0.6, and here’s some new concept. As you can see there will a new toolbar to switch between main category of functions, and the sub-functions will locate at the right-sidebar.